The anti-online gambling forces paid for by Las Vegas Sands Corp. CEO Sheldon Adelson made their latest fear-mongering appearance in Lansing, Michigan last week, where that state began exploring the possibilities of regulating the activity as a much-needed source of tax revenue for the state. Adelson’s astroturf lobbying front, the Coalition to Stop Internet Gambling (CSIG), was represented at Wednesday’s Michigan House hearing on the topic. The hearing was scheduled in conjuction with the introduction of two new regulatory measures by Rep. Brandt Iden, and it drew prominent forces on both sides of the debate. Rep. Iden chaired the hearing held before the House Regulatory Reform Committee, and the first testifying withness was an important one: former Michigan Attorney General Mike Cox, who testified in support of Iden’s bills. Michigan’s own Gaming Control Board was also represented by its deputy director, David Murley; Murley and Michigan’s GCB are officially neutral on Iden’s bills. But the circus performance of the day was surely that of CSIG’s David Cookson. Cookson, a formey Nebraska AG whose law firm, Bruning Law, has been retained by Adelson and CSIG to spread the fear, was in fine form in the Wednesday hearing, again offering CSIG’s allegations that online gambling feeds addictive behavior, is dangerous to children, offers no identity-verification processes… well, you know the spiel. Cookson brought his Adelson-sanctioned dog-and-pony testimony over from a similar appearance at a Pennsylvania hearing on the same topic earlier this year. That’s because all those officials listed on the CSIG site are largely just rent-a-names. Many of them nominally agree with some of CSIG’s goals, but that Cookson couldn’t even name some of them is farcical, showing only that it’s all Adelson… and his billions… behind CSIG’s moves. Pappas cited the very positive New Jersey experience as part of his refutation of the CSIG and tribal claims, and he was joined in that effort by testimony from other witnesses. Whether or not the Michigan bills will have real legs not only remains to be seen, but is far beyond the scope of this committee. 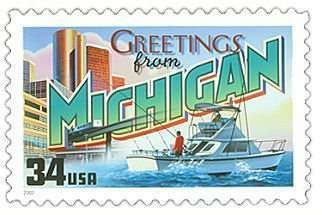 Michigan provides a unique legislative circumstance in that any expansion of online gambling in the state can occur only through a cople of channels. One such channel is via voter referendum, but that process is typically arduous and can take several years, and is thus not favored here. Instead, as the GCB’s Murley noted, there could be an avenue to passage by declaring that all such online wagers in Michigan are legally declared to have occurred at either of any of the three Detroit-area casinos or at the 18 other tribal casinos that dot the state. However, it would take a three-fourths approval by the state’s legislative bodies to get around constitutional requirements, part of the same unusual code that allows for the statewide-referendum opportunity.